Trick Flow twisted wedge 11R 205cc heads are the new generation for taking power-making to the next level for the Small Block Ford. 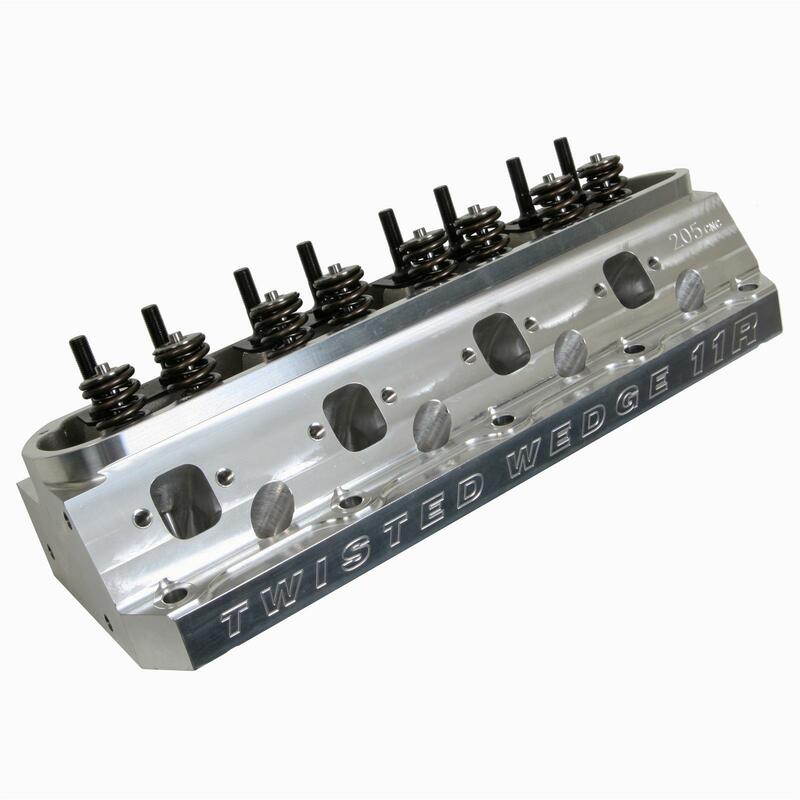 These heads feature fully CNC-profiled and bowl blended combustion chambers and CNC competition ported intake and exhaust runners to provide maximum airflow throughout camshaft valve lift, and guarantee the same amount of flow from port-to-port and chamber-to-chamber for improved power over the entire rpm range. 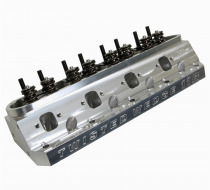 Twisted Wedge 11R series heads work with most OEM and aftermarket intake and exhaust manifolds/headers. The heads are ready for installation straight out of the box. Total Engine Airflow offers many custom cylinder head assemblies for this family of products. Should you need a customized solution not included below, give us a call! Intake Valve Diameter (in) -- 2.080 in. Exhaust Valve Diameter (in) -- 1.600 in. Maximum Valve Lift (in) -- 0.600 in. Rocker Arm Nut Thread Size -- 7/16-20 in. Guideplate Pushrod Size -- 5/16 in.